This was my very first idea for kendama stickers. 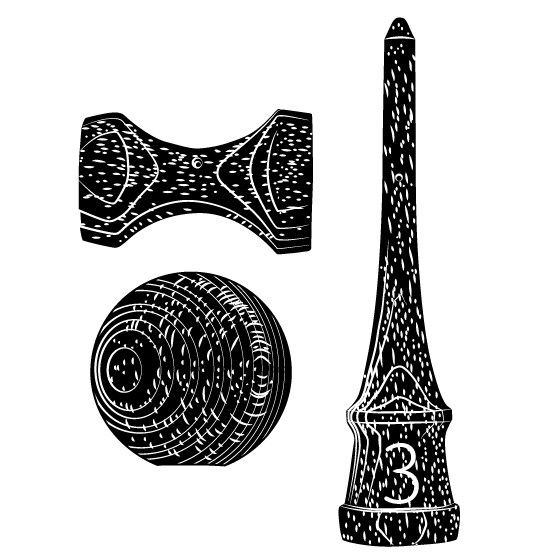 Set of three kendama parts that could be glued in various tricks composition. Now, almost 8 years later I finally found some time to deliver. Trojka sticker set contains sword, sarado and tam a sticker. Stickers are same size as regular kendama.